Adam Levine helped Kelly Clarkson find her ideal Los Angeles home after having to relocate her family from Tennessee in preparation for her new TV talk show. The Because of You hitmaker has become good pals with Adam after working together as coaches on U.S. talent show The Voice, and the Maroon 5 frontman proved to be invaluable as she began house-hunting for the perfect pad in California. Kelly and her manager husband Brandon Blackstock were nervous about moving their kids to the West Coast ahead of the singer's debut as a daytime talk show host, but Adam made the transition so much easier than expected after giving the couple pointers on properties for sale. "We got really blessed with our house," she told U.S. breakfast show Today. "Actually, Adam Levine found our house; he's like a real estate guru! It's the most amazing house I've ever lived in! He's so good." The pop star has been focused on settling in but admits it's taken a little adjustment to get used to their new neighbourhood and surroundings. "We had to make a decision as a family (about the move) so we're pretty much based out there, which scares my husband and I because we're both Texan and both really like the outdoors," Kelly confessed. "And there are some great outdoor things there, but we're like, mountain people. But it'll be good. It's gonna be great." 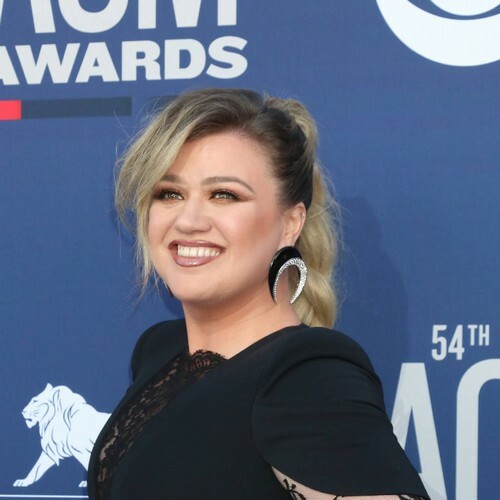 The musician, who shares two young kids with Brandon, and is also stepmum to his two children from his previous marriage, launches The Kelly Clarkson Show in September (19), but in the meantime, she will be keeping busy as she is poised to return as the host of the 2019 Billboard Music Awards on 1 May, all while juggling her duties on The Voice. "It's so fun, it's just I don't think I realised when I said yes (to the Billboard hosting job), we're doing the lives (live rounds) of The Voice at the same time while we're still prepping for the show, so there's a lot going on!" she said. However, Kelly is "excited" about reprising her role as event emcee because she now has a little experience: "It's fun, it's just cool to be around artists you love and inspire you...," she gushed. Kelly is also currently promoting her new animated movie, UglyDolls, which opens in theatres next month (May19).